Last week, I had one of those "less than stellar" days. You know, the days when you've gone absolutely ca-ray-zy and you totally know it? I found myself being grouchy, impatient, and downright irritable. Looking back, there wasn't any specific reasoning. I just found myself grumpy over everything - the never ending to do list that wasn't being completed, colds that hit us all hard, and a house that was not tidy. In fact, I found myself this close to yelling at my phone for giving me the wrong directions. Yeah, see what I mean? Crazy. At one point, Ellie came up to me and said "I'm sorry you were grouchy earlier, mom." Ha! I took one good look at myself (and the scowl on my face!) and decided to shape up. A few homemade cookies and milk did the trick (recipe below), as well as sitting down to color. Color, you say? Yes! 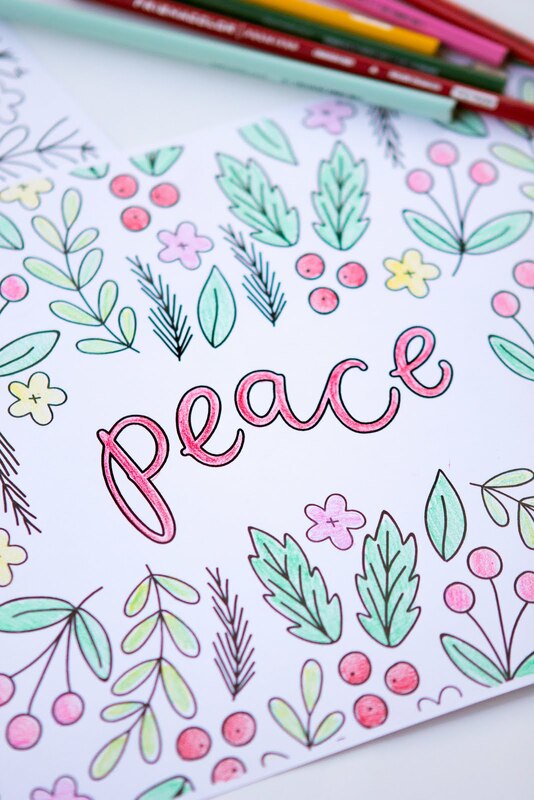 Our art box is full of all sorts of things - stickers, construction paper, scissors, markers, glitter that gets evvverywhere - as well as our favorite Prismacolor Premier colored pencils. 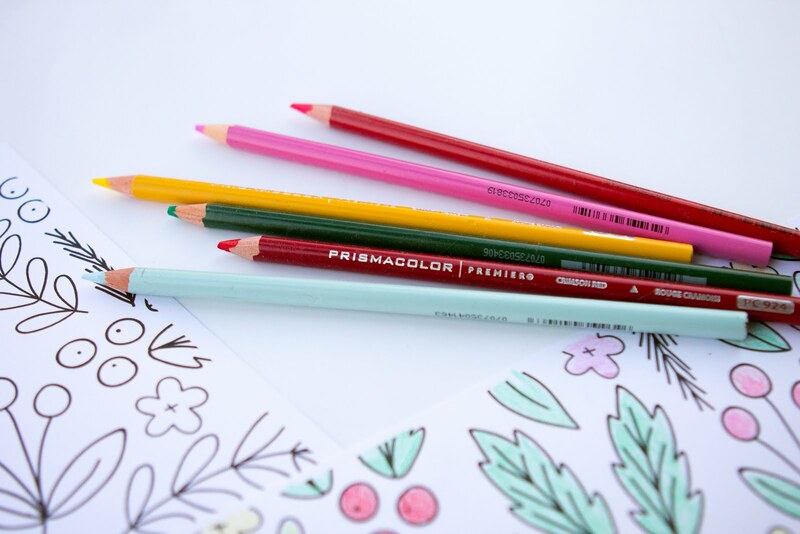 Let's face it, they're the only kind of colored pencils allowed in the house. We love stocking up on a few each time we visit Michaels. I think Ellie is determined to own every single shade of pink available! Make sure to check out Michaels coupons for additional savings, in newspapers and online. If you want to have twinner place mats (Ellie would be sooo thrilled! ), you can download your own copy below! 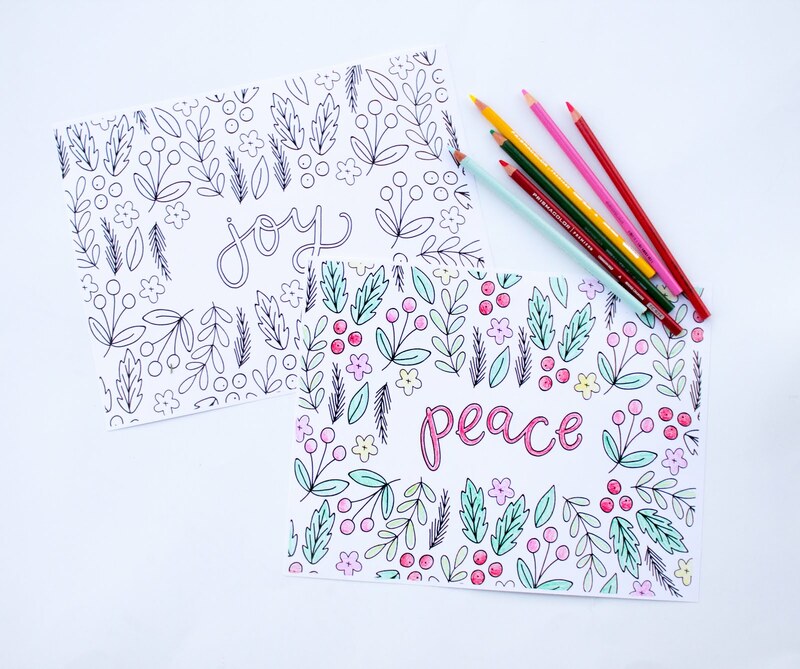 (And you can click here and select “free pages” to download your own free Prismacolor coloring pages! And...if you're going to have festive place mats you may as well have some cookies to go with it, amiright? These are Brian's favorite and most requested treat. Coming from a guy who typically picks salty over sweet, that's saying something! Cream together shortening and peanut butter. Add sugar and brown sugar and beat well. Mix in egg, milk and vanilla. In a seperate bowl, mix flour, baking soda and salt, gradually add in. Shape dough into small balls, then roll in sugar. Bake at 375 degrees for 8 minutes. Add chocolate kiss on top while cookie is still hot. 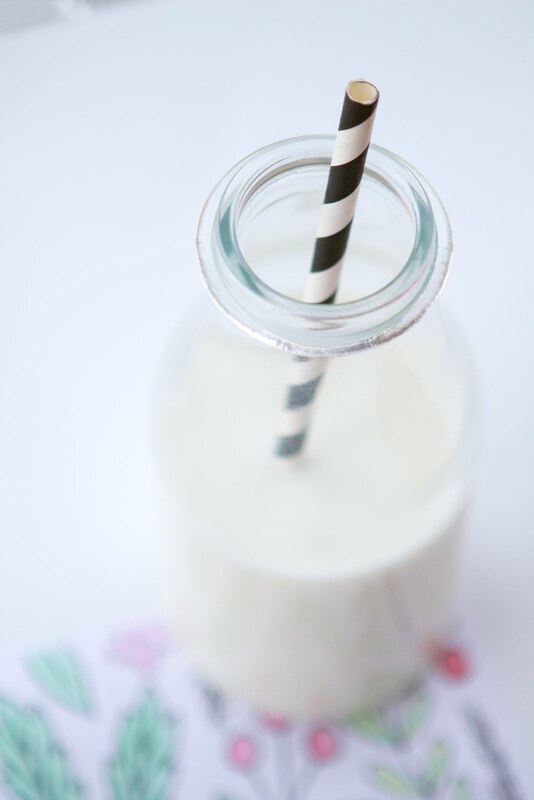 Enjoy with a glass of cold milk! Yum! 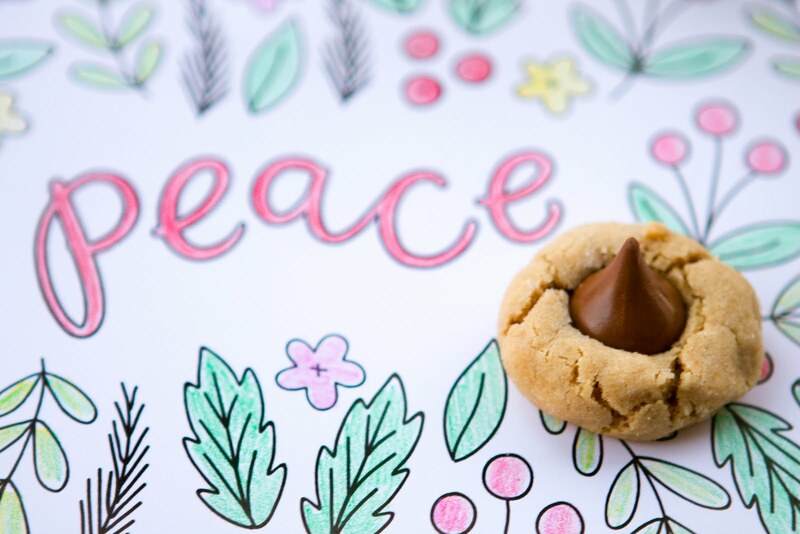 Cookies and coloring-a fantastic combo! Those cookies.....I can't stop eating them!! 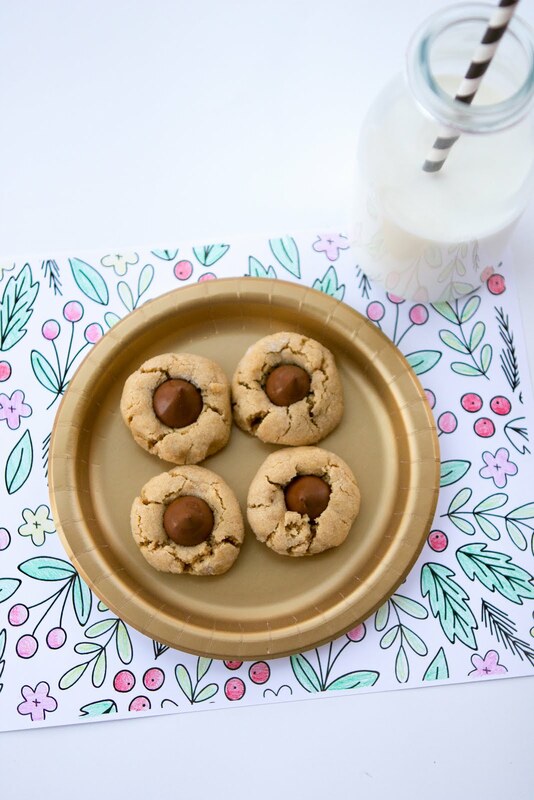 I just bought the ingredients to make these cookies today ;) those placemats are so pretty...i love to color, like, maybe more than my kids even do! !